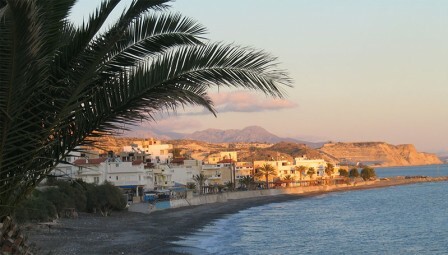 Ierapetra is the largest city in the prefecture of Lasithi – 35 km. 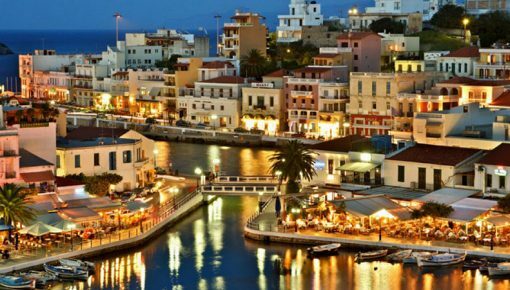 southeast of Agios Nikolaos – built at the exit of a fertile valley and on the ancient Ierapytna, one of the most important cities of Crete. It has the advantage of being the southernmost city in Europe, just opposite the African coast, with a mild climate and temperature that rarely falls below 12 °C all year. That’s why it is considered the sunniest area for holidays throughout Europe. 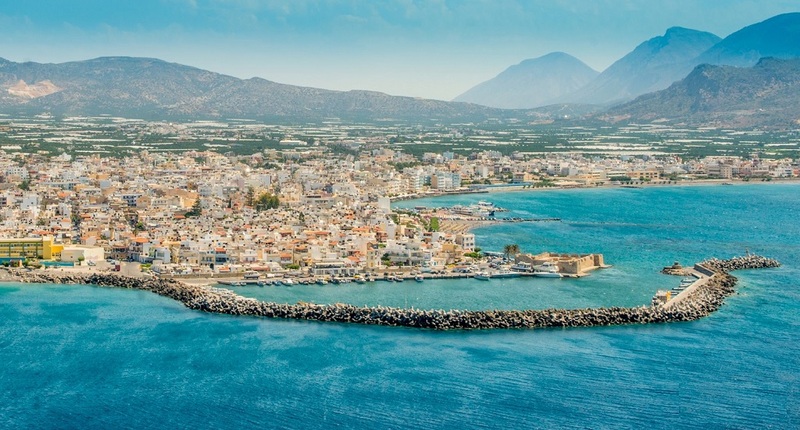 Fascinating for its history, well-organized and being favored by nature, Ierapetra is an ideal starting point for one day trips to traditional villages and seaside resorts. Start a leisurely walk to the lively city center along the waterfront or lose yourself in the quiet picturesque streets of the old town in Kato Mera. Buy handmade souvenirs from the traditional outdoor workshops and enjoy the colors, sounds and flavors of Crete in the charming atmosphere of the “old neighborhood” of Ierapetra. 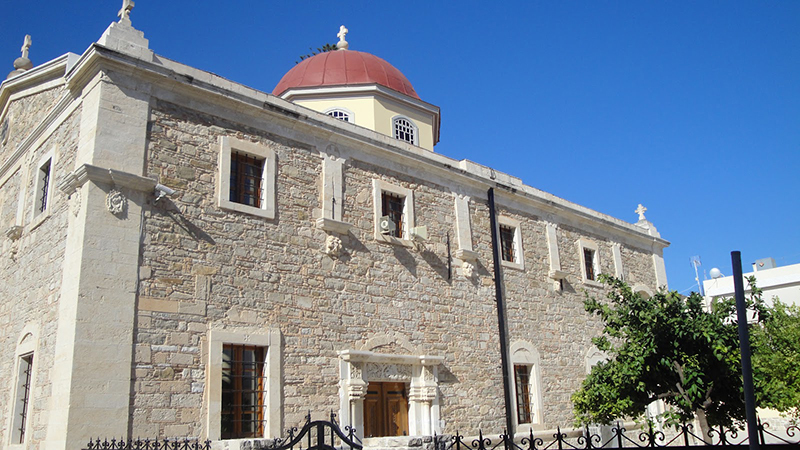 A popular sight of Ierapetra is the “Napoleon House”, where, according to tradition, the great man spent one night. It was June 1798 when the fleet of the French commander Napoleon Bonaparte anchored in Ierapetra, on his way to Egypt. There was hosted by a family in the old town. 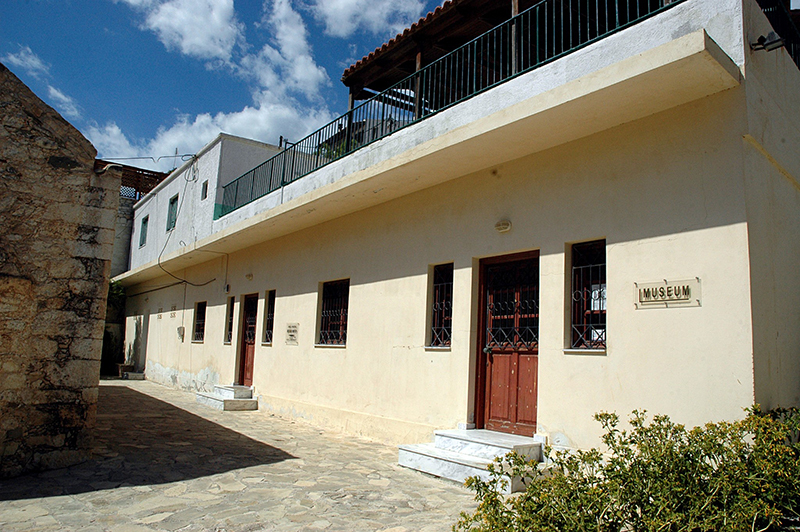 The old Cretan house still holds the pride of the historic visit. You may also visit the Archaeological exhibits collection at the Ottoman school, which was built in 1899 after the liberation from the Turks. Today it has been renovated and used to host the collection. You will get the chance to see artifacts from the surrounding area from different periods. The most important is the famous “Sarcophagus of Episkopi”, with twelve painted representations on it, Greco-Roman statues from the village of Viglia and the well-preserved statue of the goddess Persephone. 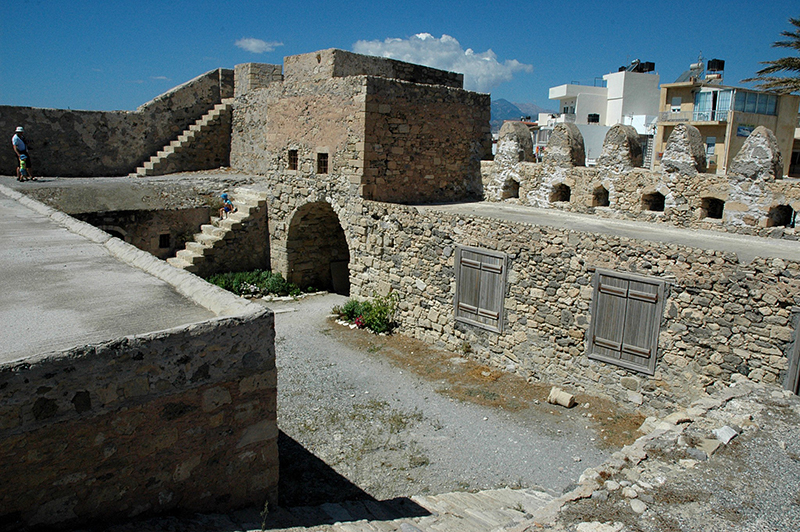 The famous “Kales” fortress, on the edge of the ancient port in the old town, was built by the Genoese pirate Peskantore in 1212 and since then, it is associated with the history of Ierapetra. At the end of your stroll, do not forget to visit the mosque and the Ottoman fountain standing in the old town, as reminiscents of the occupation of the island from the Turks. Today, the building has been restored and hosts visual arts exhibitions, paintings and sculptures by local artists. Almost all Ierapetra’s beaches are awarded Blue Flag each year. A clear proof of the superiority of its beaches is that Ierapetra was awarded the Golden Medal Quality of Coastal Areas (Quality Coast Association) in 2012, at the annual ceremony held in Torres Vedran Portugal. East and west of the city, along a huge promenade, awaits you an endless coast. You will get the chance to swim in stunning beaches with deep blue crystal waters. 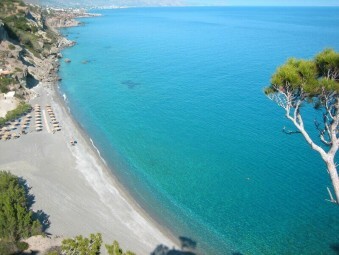 “Livadakia” is the best organized beach with small pebbles and shallow waters. If you are keen on water sports, then, “Apovathra” beach will surely become your hot spot! In the area of St. Andrew extends the longest beach of the city (reaches 4 km.). For private swimming, choose “Livadi” and “Peristera”. 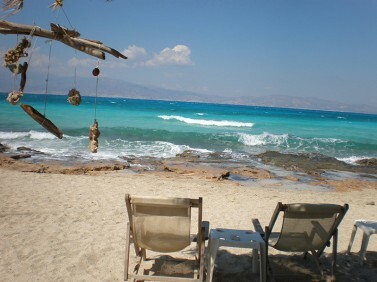 Of course, do not miss a dip in the famous beaches of Agia Fotia and Myrtos, located near Ierapetra. 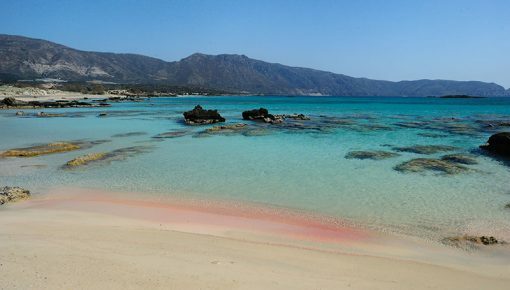 The small volcanic island “Chrissi” or Gaidouronisi is definitely worth a visit! Looking like a boat moored in the Libyan Sea, it impresses everyone with its incredible natural beauty and exotic beaches. Small boats will take you from the port of Ierapetra to Chrissi, “the Island” as the locals call it, for a day trip – real experience! With the sea-gulls to accompany your trip, the boat will finally dock at the port “Vougiou Mati”. Hidden bays and pristine beaches with turquoise clear waters, curved dunes of golden sand, endless acres of rare cedar forest compose a frame of beautiful images. 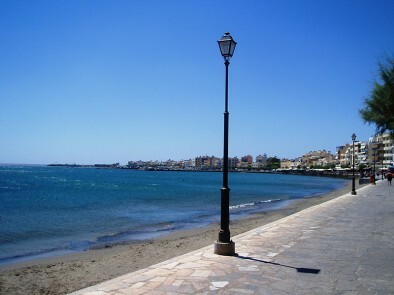 Ierapetra is a small, peaceful city but at the same time, it has so many things to offer to its visitors. 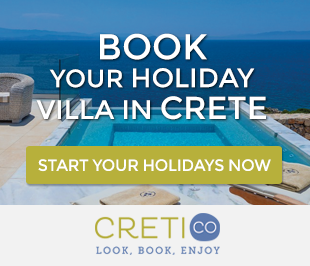 So, if you want to explore Lasithi or South Crete, in general, do not miss the chance to spend some nights in an accommodation near Ierapetra. Posted on 11 Mar 2016 in Lasithi and tagged Beaches In Lasithi, Chrissi Island, Ierapetra, Lasithi.